If there’s any single exercise that has influenced the image of athletics and bodybuilding all over the world, it’s the idea of an ultra-muscular male hunk, dripping with sweat and gripping a pull-up bar, straining up and down, with each move showing off the contours of his muscles. The love of fabulously-formed abs has driven great numbers of everyday individuals to become bodybuilders, resulting in vast amounts of casual folks embracing this particular exercise with enthusiasm. 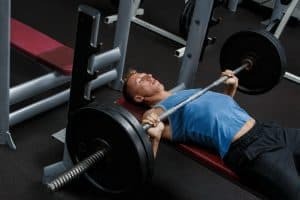 This single exercise has triggered the love of the art of bodybuilding in the minds of millions around the world and has created more gym-goers than many of us will ever be able to imagine. Amazing is just the word it. “And which exercise is that,” you ask? Pull ups, of course. Generally, the pull up is an upper body exercise that is based on gripping a bar with the palms facing forward, and pulling up the body weight until the head-shoulder periphery gets to the level of the bar – and that, without providing any extra propulsion by kicking or leaping off from the ground. In this article, you will find I have examined the ins and outs of the pull up and have put down what you stand to gain from it. From the improved muscular tone to toughened and resilient mental power – you definitely want to keep on reading. 1. What Exactly Are The Benefits Of The Pull Up? If you did a quick analysis, you would have realized that if pull-ups weren’t especially useful in any particular way, you wouldn’t have lots of people sweating about it – not to mention risking a twisted shoulder joint. But yes, pull-ups offer immense physiological and mental benefits that you are right to be interested in. So, below you will find a bunch of benefits that pull-ups offer to those who start it or eventually make it a consistent part of their workout schedule. I have indicated the specific muscles that can be built up by pulling up, its metabolic benefits, cardiovascular effects that will get your heart beating better, and fine-tune your physique for more exercises. 1.Pulling up enhances metabolic function. Once you’re engaged full-swing in a workout, your entire system is brought under its influence, and you get to expend more energy than usual. Beyond that, your internal organs also pick up the gusto and take their function a step further. The metabolic processes are hastened up for as much as a complete 72 hours from the time when you did your work out, increasing your digestive speed and glandular functions. The best part is that you don’t have to turn Usain Bolt or Brock Lesnar to reap the benefits of pulling up – even as little as a 30-minute session with generous breaks can pay you huge dividends health-wise. A really comforting aspect of pulling up is the fact that the strain your muscles undergo is what actually toughens them and gets them set for better future engagements. 2. Pull ups improve heart function. In a world where far more people die of heart conditions than of many other diseases, an exercise that keeps your heart in spick-and-span shape requires your attention. And pull ups are just that. An intense 30-minute session is all that’s necessary to get your heart worked into shape, and pulling up habitually will thereby keep your heart pumping healthily for a seriously long time. 3. Pulling up helps to build up muscular power throughout the body. 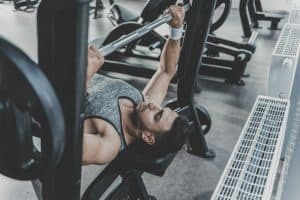 You may not realize it but growing your Latissimus Dorsi – which are also known in the bodybuilding community as lats – has been a priority for you for a very long time. Most people plan on getting a V-shaped back that makes them look more masculine, confident, and really just cute. Those muscles that make it possible are the Lats. The lats are positioned precisely on top of each respective shoulder, and they extend all the way down the end of the back. Needless to say, the lats are super-important. 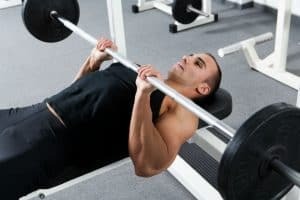 They form a significant connection with the torso, the arms, and the lower body making it possible for you to lift off the ground whenever you’re gripping the bar. This responsibility that the Latissimus Dorsi muscles handle also builds them up little by little, every single time you lift off from the ground and get down successfully. But watch it: any false move while pulling up may exert extreme pressure on your lats and get you seriously injured. Extreme caution is required. The Rhomboids are another great muscle pack that gets toughened and enhanced with every moment you pull yourself up on the bar. They are stationed at the back of the torso and are firmly fused with the Latissimus Dorsi, aiding the latter’s movements and responses. In the race to build up awesome-looking abdominal muscles where the back is usually neglected, pull-ups make up for this big time. They provide a generous workout to the rhomboids and help to stabilize the effects of building your abs. This way, your muscular growth stays balanced and attractive – without you stressing out yourself at the gym. Because of their role in lifting the entire body weight off the ground, the arm muscles arguably do most of the work during a pull-up workout – and gain the most from it. 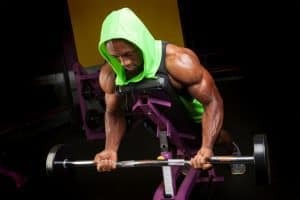 When you have a firm grip on the bar, the triceps, biceps, as well as forearm muscles must coordinate to lift you up at once – straining every bit of the way – and to slowly lower the body weight. And this is done over and again during any single workout session, strengthening the arm muscles with every move. The thought of it alone makes the hearts of many young males skip a bit. Movies like Rambo have created a passionate desire for better physiques – specifically, better-formed abdominal muscles that can be shown off anytime you pull off your shirt. And what better way to build your abs than pulling up? The abdominal muscles are tightly joined to all the functional muscles we have mentioned already, and as a result, every move the lats, rhomboids, or arm muscles make, impacts the abdominal suite of muscles. Just pulling up three times every week can develop a good chunk of your muscle groups without much stress. This way, you only get to kill as many birds with one stone. e. Apart from what we already mentioned, a whole set of muscles such as the Serratus and the pectoral muscular group that is required to keep the body stable during the lift are also benefited by pull-up workouts. 4. Pull ups help to improve your grip strength and endurance across a vast range of exercises. The basic principle of the pull up is a levering of the body while gripping a bar firmly. Therefore, it is evident that a significant part of pulling up is merely holding the bar for as long as your session lasts. Come to think of it, no matter how much strength you might have (or think you do), if you can’t hold the pull up bar with a steady grip, you’re at least one thousand miles from a rich and satisfying pull up workout. Pulling up requires a firm grip, and as a result, it trains your palm, wrist, and arm muscles to grip better, improving your overall performance across a range of exercises that require a strong holding power. 5. Pull ups help to develop rugged mental power. In that crucial moment when you feel like throwing in the towel, you’re looking intently at the pull-up bar, and you hear that voice within you whispering, “just one more.” At that moment, you muster all your strength, and with a shout, you continue for a few more lifts before you finally drop, feeling very fulfilled that you could hold tiredness at bay to get what you want. Bodybuilding is more of a mental exercise than it is physical, given that you have to make up your mind and keep it made up to navigate through all obstacles to your great body – every single day. As you learn to say no to your pain and tiredness, you begin to hone your mental resistance in every other area of your life apart from just exercising. The discipline that pull-ups require may be hard for many to engage, let alone master, but in the end, it is well worth it. Oh, and did I forget to add that pull ups are harder to do if you weigh more? Yes, because your body weight is what you get to lift off solid ground and suspend in midair, before lowering again, if you are at least 20 pounds overweight, this may not be a walkover as it is for many people. But don’t be discouraged. If you encounter any difficulty when you begin pulling up initially, you should go easy on yourself at first. You might choose to start with pull downs or any more natural exercise that’s based on the same pattern. In doing this, you can actually develop enough strength to begin. Warning: Developing mental power during your pull up workout doesn’t require you go on and on even after you’re drained of energy. All you need discipline for is when you feel like taking a break, but you know you still have enough energy to exercise. But in a situation when you’re exhausted, take a smart step back and have your well-deserved rest. 6. Pull ups are a great way to develop a balanced muscular frame. One ugly fact about bodybuilding that many refuse to address is that if it is taken out of the right context, it may end up being harmful to the physical frame. With that in mind, it is necessary that all parts of the body are exercised in a fair proportion to ensure uniform development, aiming to avoid a situation where a part of the body suffers when exercise is blown out of proportion. Simply put, focusing the upper body on push exercises, while neglecting the back, can and will result in poorly developed back muscles. To remedy this, the pull up focuses mainly on the muscular texture of the end and helps to keep the spine flexible, improve inner muscular strength, and fine-tune your posture. 7. 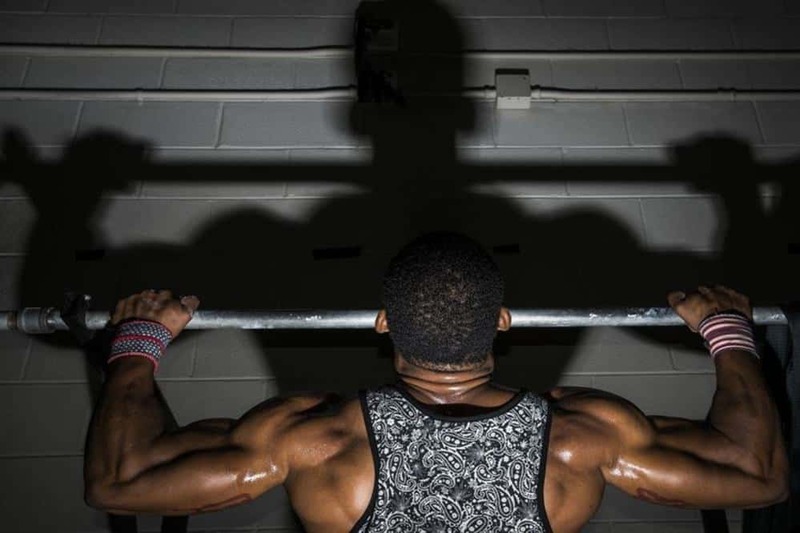 Pull ups train some of the most used muscles in the body. As we mentioned earlier, pull up workouts focus on the lats, rhomboids, and arm muscles, which are muscle groups that are frequently used in everyday life. Developing a strict and consistent pull up workout schedule will strengthen these muscles and give you more functional strength for your day-to-day activities. 8. Pull ups improve crossover-ability and enable you to perform better across numerous exercises. Since the muscles that are involved in pull ups are also relevant for other exercises, developing them invariably means you will be a better performer across any other similar activity. In this way, the body is primed and ready to perform across a wide variety of situations and conditions. 2. WHAT ARE THE POSSIBLE SIDE EFFECTS OF DOING PULL UPS? You may have heard people say or imply that there’s nothing like too much of a good thing. Now, I don’t know whoever said that in the first place, but I think they owe us a detailed explanation as it regards to athletics and exercise. In the case of doing pull ups it is very possible to get yourself injured if you either don’t do it correctly or if you take it to the extreme. Doing pull-ups is a great exercise as long as you obey all the said and unsaid rules that are intended to make your workout safer and more productive. 1.Doing the pull up is an exercise that requires extreme suspension, meaning that while the arms support the hands gripping the pull up bar, the entire body is suspended by the leverage provided by the arms. This way, if you carry out pull up workouts without a proper grip on the pull up bar, you may be risking a dislocated shoulder joint. 2. The aim of working out is to develop physical capacity over time. Because of this, trying to turn into Atlas overnight isn’t a brilliant idea, given that you have just enough strength and nothing more. Just like every other exercise, pull ups shouldn’t be taken to the extreme. This will make you more prone to injury during your workout. It’s best you carry out your workout to the full and then take a comparable period of rest before you continue. 3. As a general warning, if you’re looking to get a pull up bar installed in your home or wherever you like, make sure it is well secured. The last thing you want when you’re tired and staring at the bar with a sweaty face is to hit the ground in a pile. Not a very good idea. And before each pull up workout session, make sure that your pull up bar is still firmly secured. How To Get The Best Out Of Your Pull Up Routine. 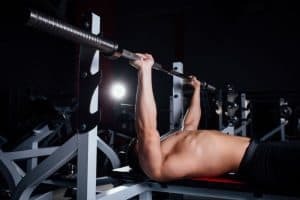 If you have been doing pull ups for quite a while, what if I told you that you can actually derive more of the benefits that you have read about while using your energy more efficiently? I’m sure you would want to find out how. Below are some tips that will transform your workout schedule and help you get and keep your muscles in consistently good shape. 1.Always start off every pull up workout with a mild routine of preparatory exercises that will keep your muscles in good shape for what you have ahead. At first, when many individuals commence pulling up for the first time, they discover that they have less physical capacity than they initially projected. An excellent way to work around this weakness is to drill yourself with preparatory activities that will help you perform better during your workout routine. 2. Never procrastinate or break your workout chain for unnecessary reasons. Any seasoned bodybuilder will agree with me that good muscles and an enviable physique are not grown overnight. They come about as a result of reasonable efforts made consistently over a reasonably long period. As a result, it is necessary that you stick to your laid down pull up workout routine to maximize the power of time. No matter how little your efforts are, if you stay consistent with your pull up workout schedule, you will make far more progress than someone who hits the gym once a week and does 30 pull ups. 3. Take adequate rest after each pull up workout session. Pull ups are an intensive exercise that requires mental as well as physical preparation and engagement all the way. That noted, it’s needless to say that a full-fledged pull up workout session will take a lot out of you. The best way to keep your body razor-sharp is to take regular breaks every time you’re tired, and only continue after you have been rejuvenated. 4. If for any reason you can’t get your pull up bars installed at home, or you can’t make your trip to the gym consistent enough to generate results, you might consider improvising. The basic concept of pulling up is to suspend and draw up the body weight from a projecting handlebar. This makes it very possible for anyone to have a heated pull up session anywhere – think of the park, or swinging from a sturdy tree branch in your yard. Anyway, if you really care for your pull up workout routine, you shouldn’t have much of an excuse not to keep to it. 5. Increase your grip strength by dead hanging for long periods. A dead hang simply means gripping the pull up bar, lifting your body a bit and staying in that position for as long as you can. It may not be obvious to many, but this is a super-effective way of improving your grip strength. While doing a dead hang, the entire body weight is dropping from the arms, putting immense pressure on the muscles of your hands, and stretching them in the process. With time, the stretched arm and hand muscles are back in shape, but this time, they are stronger and have developed a higher resistance to pain If you realize you can’t keep pulling up for a reasonably long period of time, dead hanging should occupy a significant part of your pull up workout until your grip strength increases. 6. Space your pull up routine sessions to permit your muscles enough time to heal. Working out builds up the body, but does so in a tricky way that requires close attention. When you’re in a workout session, your muscles are stretched beyond their reasonable limits, and once you’re done, you may feel some pains due to the strain your muscles have undergone (nothing good comes easy, eh). That, in essence, is the way the muscles are built up. If you intend to derive the best results from your pull up workouts, make sure you mark out ample time for your muscles to rest and heal from all the stretching and straining they have undergone. 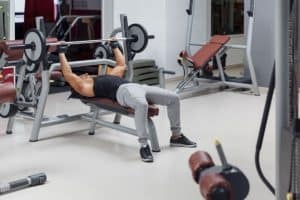 While consistency is an asset in the journey towards better-formed muscles, it is highly inadvisable to make pulling up a daily routine as this will keep your muscles sore and provide you with no actual benefits. 7. Assuming a situation where you’ve done your very best but it still seems like you can’t catch up with this pull up thing, a little bit of reverse engineering may be the thing for you. You could commence with pull downs, which are in concept, one and the same with pull ups, with the only difference being that while pull ups require you to draw up the bodyweight, pull downs require you you draw down a weight from above you. This may prove more comfortable and doable for you, and with time, you will advance to pull ups proper. Now, what do you think? Are you currently having pull ups as an essential part of your workout routine? Or are you just browsing looking for more information before you commence? If you’re in any of those categories, you might still want to read on. There, you have a complete guide on the potential benefits to be derived from pulling up – the physiological gains to be made, as well as the emotional and mental power-up that a consistent, focused pull up workout routine will add to you. If you’re already aboard with us, good for you! And if you’re still considering getting started with this “pull up thing,” you better believe that you’re missing a lot. Now, let me give you a tip. If you’re still hoping to get started with pull ups, you must get started right away, because it’s so hard when you contemplate it beforehand, but it gets more comfortable when you actually do it. Once you make pulling up a part of your life, your health will thank you. Not to mention that your physique will be improved in no small manner. And for those of us who have been doing pull ups for long, would you like us to share your story? What was your WHY – the specific, heart-throbbing reason you made up your mind to start pulling up? How has your pull up routine changed your life, and how long have you been at it? What challenges, if any, did you face when you initially made up your mind to make your pull up workout a part of your life? And what problems are you currently facing now? If you don’t mind, we’d love to know how many pull ups you can do currently, and how many do intend to be doing in the next few months? And do you REALLY enjoy your pull up workout schedule, or do you just complain until you’re out of the gym? Will you give up your pull up workout routine for anything in the world or does it mean so much more to you? Reach out to us today, and we will be happy to tell the world your story. To a greater body!